The changes in artistic design during three centuries in historical centers with decisive importance are represented through exposed 200 artworks of old masters. 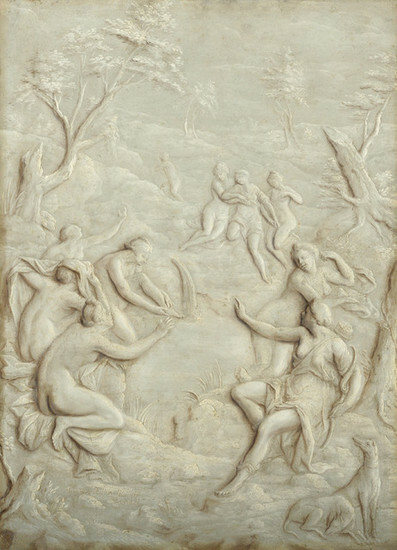 The display, which is divided through chronological and thematic demands, offers an idea about various artistic opinions represented in influential schools of visual arts during the period of mannerism, baroque, and rococo. Specific examples vividly illustrate general signs of paintings of early modern times, and also changing attitudes towards audience within the limits of reliable fiction and the picture of evident and emotive truth. The main point of the collection is the artworks which are converted from the department of art gallery of Slovak history museum during the years of 1950 - 1953. The most of the artworks from this group are superior artworks of Italian masters and secondary artworks of Dutch masters. Those artworks have origins in the collections of The Palffy family localized in Chateau Kráľová near Senec and in Pezinok, but individually the artworks come from the heritage of The Erdödy family in Hlohovec, The Stummer family in Továrniky, The Brunchswick family in Dolná Krupá, and from the heritage of Raul Kuffner in Sládkovičovo. In 1953, the nationalized artworks from Chateau in Čakany were stored in the building of SNG. But in 1951, those artworks were transferred into the collections of institution. This group includes above all the artworks of German and Austrian masters. Through those artworks, there are notable fragments of the significant collections, like Adolf Kohner's collection of artworks. The collection was expressively complemented by the artworks which were gathered from nationalized heritage of individual national committee and different public institution in 1960's. Secondary artworks from the collection are a great example of reflection how those artworks were brought into middle Europe and bought in the auction houses and lotteries in Berlin, Vienna, Budapest, and Pressburg in second half of 19th century. Different artworks were obtained by the artists Julius Szentistvany in Vienna, or Jan Fadrusz in Italy. Exceptionally, there are also known previous owners: prince Buckingham of Stowe, marquis de Veri of Paris, Thomas François Granvell of Besançona, and Cornelis van der Geest of Antwerp. 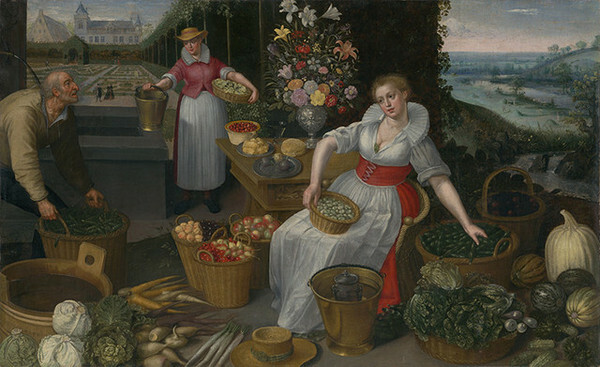 According to our current knowledge, none of the artworks come from the well-known collection of The Habsburg family exhibited at the castle of Pressburg. A part of the collection of The Habsburg family was given to the free market in Budapest. Back to the establishment of SNG, there were not ideas about the development of the separate collection of European art. Karel Šourek originally thought of "Educational department of foreign historical academies." The long-term director Karol Vaculík created the collection by the systematical purchase in Czechoslovakia. This collection represents more than 550 artworks. Straight from the beginning, the curatorial approach became the main factor in taking decision for new acquisitions. Naturally, the offers of contingency and historical backgrounds were the conditions for the curatorial approach. The result is the sign of effort for geographical, formal, and significant diversity. The most comprehensive assortments of the collection of European painting are represented by the artworks of Italian and Dutch schools from the era of 15th - 18th century. 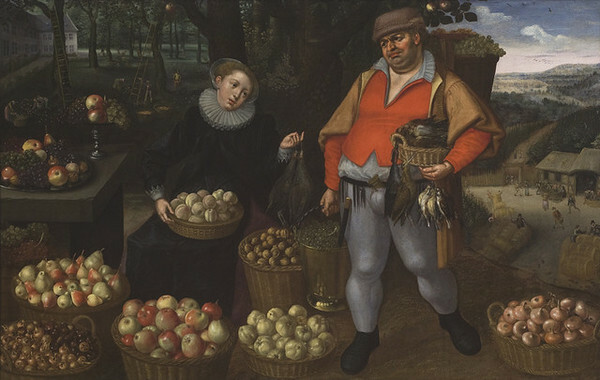 From the historical point of view, less balanced assortments of the collection are schools of Flemish, French, English, and Spanish painting from 16th - 18th century. 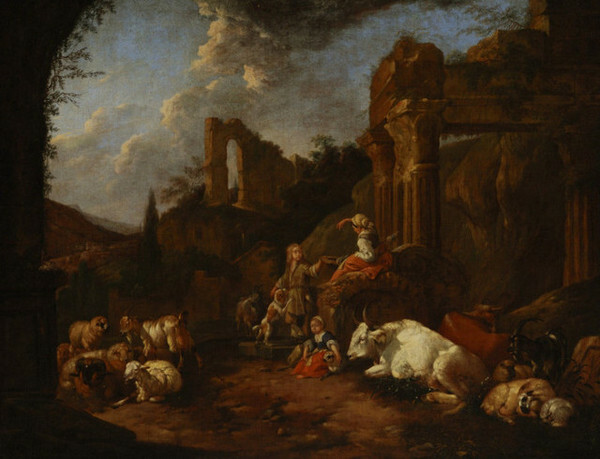 The dominance in all collections is presented by the artworks from the Baroque period. According to this spirit, the collection, which is divided in a geographical and chronological way, shows an idea about formal changes and all different kinds of directions or meanings mainly in 16th - 18th century. The most valuable part of the collection is represented by the artworks from the era of 16th - 17th century. The painting Carrying the cross by Hans von Aachen, obtained by purchase from the antiquarian shop in Prague in 1958, belongs to the rare statements of delicate and sensual art of mannerism. 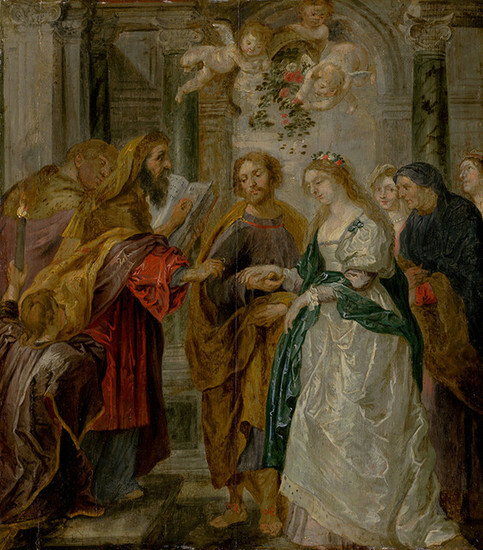 Before the duty at the court of Holy Roman Emperor Rudolf II., Hans von Aachen worked in Munich as a prestigious artist. The collections of artworks gained the magnificent painting by the purchase. The painting is from the early period of production of the artist. Although, the painting was not transformed into a graphic, about a decade of contemporary replicas from several artists witnesses very intensive reaction. The reaction inducted by contrasts of movements of the subtle forms which created Carrying the cross. The son of goldsmith master, Gillis Coignet, achieved fundamental education in a workshop which among other things produced all different kinds of measuring devices and astronomical machines. The intellectual format affects the artwork signed in an untraditional way, as Congner invenit et fecit, which means created and gave a form. In doing so, Coignet's painting Mary Magdalene was affected by Titian's painting Venus with the mirror. Coigner reached for the model, which features ancient type of sculpture Venus pudica. The emphasized creative ability in signature is connected with Christian interpretation from ancient model. 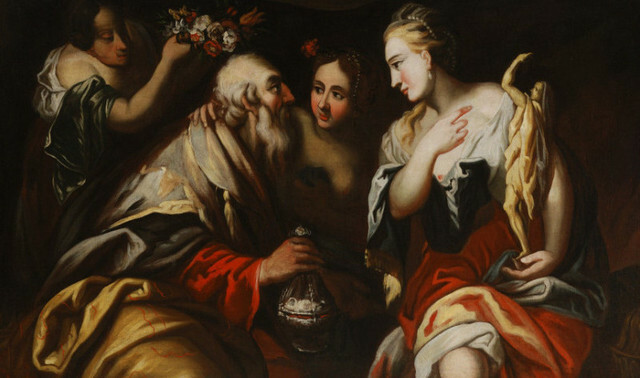 The theorists of cinquecento referred to the story of the painter Zeuxis with a favor. This story gave the foundation base to the right policy of imitation. According to the legend, the artist wanted to paint the most beautiful woman of the world, Helen. That is why he chose six women to be his models. The artist's policy became nature touched by idealization and selection. Alongside contemplating Mary Magdalene by Francesco Vanni from Siena or many figured historical scene by Andrea Vicentino from Venice, number of paintings also comes from coworkers from Florence of one of the most famous theorists of manneristical doctrine, Giorgio Vasari. The backset of opinions with benefits for realism became the determining factor for the character of following 17th century. Gradually, the individual principle was accepted. The artistic innovation, deep realism of Caravaggio connected with his dramatic chiaroscuro technique set the art of 17th century. The painting of Caravaggio's successor and maybe also the model of Francesco Boneri Carrying the cross is one of the sensations of the collection. The rich lighting contrast of individual figures in front of flat background with little accent not just form, but mainly dramatize noticed scene. Subjectively painted figures, which give a feeling of satirical sense, are dependent on untraditional psychological depth. Giulio Cesare Procaccini was the first real counter-reformational painter of seicenta working for Milan. He was highly reputable by church, and that is why he was a sought-after painter of altar pieces. The Baptism of Christ is a part of the lost cycle prepared possibly for the order of Brotherhood of St. Cross for the Church St. Carlo. Alongside the formal fade-out of mannerism, like elegant movements of figures and cold color scheme of chromatic impasto, emotionality with remarkable usage of light express itself at the same time as a new baroque motive. The work of Simon Voueta, who is famous French painter, was influenced by Caravaggio. Above all, Simon Voueta confirmed a decorative way of expression, but the layout focused on a specific moment of story was still dominated. In a profile view of St. Catherine can be maybe seen similarity of Voueta's student, later wife Virginie Vezzi. 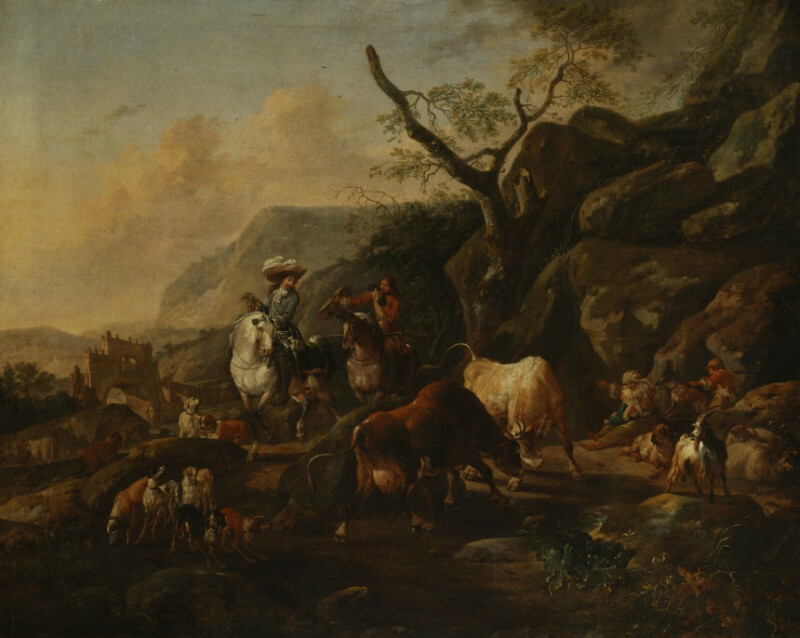 The independence of style and the aspect of art of Dutch provinces did not conquer the influence from Italy. The representatives of realistic style could be affected also by local tradition without conflict, and also by common already established ways. Both ways led to the discovery of medias of faithful reproduction, but both ways were alternated between descriptive and studying incurrence of the same visible world. The whole number of outstanding artworks witness this phase. The painting The allegory of the Four elements by Hendrick van Balen and Jan Brueghela senior was created in a very sensual way in famous Flemish area, Antwerp, where this painting became a part of one of the most famous collection of Cornelis van der Grest in that time. The external decorative form of an elegant cold couple is presented in a completely different way. The painting is a representative portrait of an ambassador of The Dutch United provinces Gerrit Schaep and his wife Johanna Visscher by david Bailly. The painting was created in the most significant artistic centre, in Amsterdam.